Wile E. Coyote has been chasing that Road Runner for 70 years and hasn’t been able to outwit him yet. 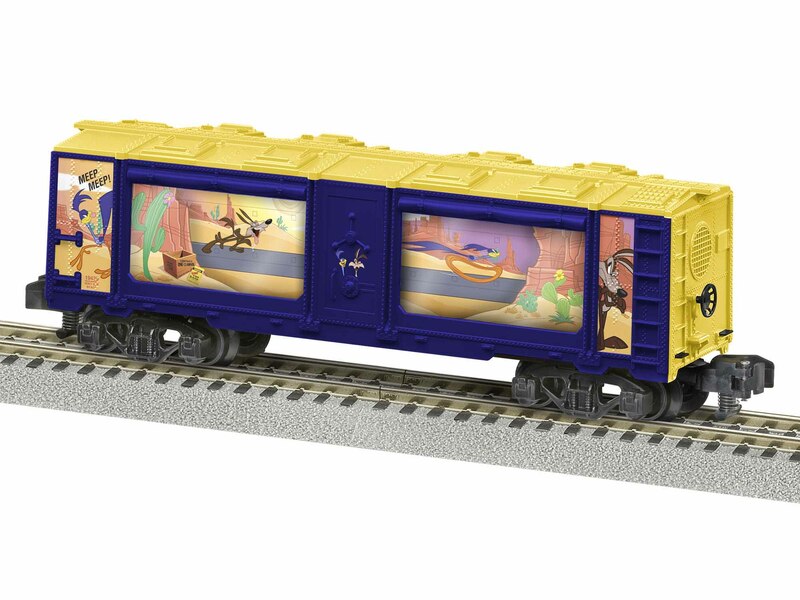 Now this classic animated duo can entertain you on your layout as the chase continues in the new American Flyer Aquarium Car! Characters race through the Southwest on a motor-driven belt.